Lotus | Sana Ako si Ricky Lee! This is just a quick post to remind you that the Hungry Ghost Month this 2017 is happening on August 22, 2017 to September 19, 2017. The eve of the Hungry Ghost Festival is on Sept. 4 and Hungry Ghost Festival or Hungry Ghost Day is Sept. 5. The Hungry Ghost Festival is also known as the Zhong Yuan Festival in Taoism and Yu Lan Pen Festival in Buddhism. This is the day we pay respects to the deceased by making some offerings. This is also the day where you can do the Ullambana Ritual, which I introduced to my readers last year. It is said that all ghost, especially the hungry ghosts, will come out of hell during the Hungry Ghost Month, and it is said that they are strongest on the eve and on the festival day itself. The festival day always happens on the 15th day of the 7th lunar month. This is why the 15th day of the 7th lunar month is called Hungry Ghost Day and the 7th lunar month is called Hungry Ghost Month. The Chinese, especially the older generation have the custom of making offerings to their dead relatives and to their ancestors, but also to all hungry ghosts. The Hungry Ghost Festival is considered as one of the most important date in the Chinese tradition. As mentioned the Chinese believes that during the Hungry Ghost Month (sometimes simply called Ghost Month), the gates of hell will open to allow the hungry ghosts to go back to our world. 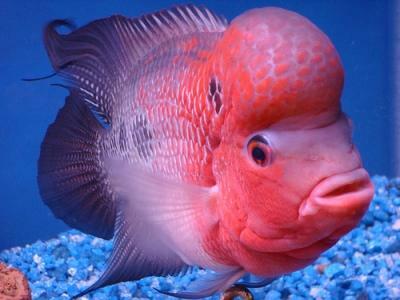 During this time, they will roam around our world to eat with us. Because of this they also bring about a lot of negative energies and may cause bad luck and illness and accidents. To help ease the sufferings of the hungry ghosts, and to avoid causing bad luck to us, the Chinese usually perform ceremonies on the eve of the hungry ghost day, but a lot of Chinese, also make offerings all throughout the hungry ghost month. They will set altars for them and chant mantras or recite sutras that will help give merit to the hungry ghosts. . Monks often throw rice or some small foods into the air to distribute them to the ghosts. On the evening of the Ghost day, people also make lanterns and float them on the river to help their relatives find their way back to home. The lanterns are usually lotus flower-shaped with light or candles. 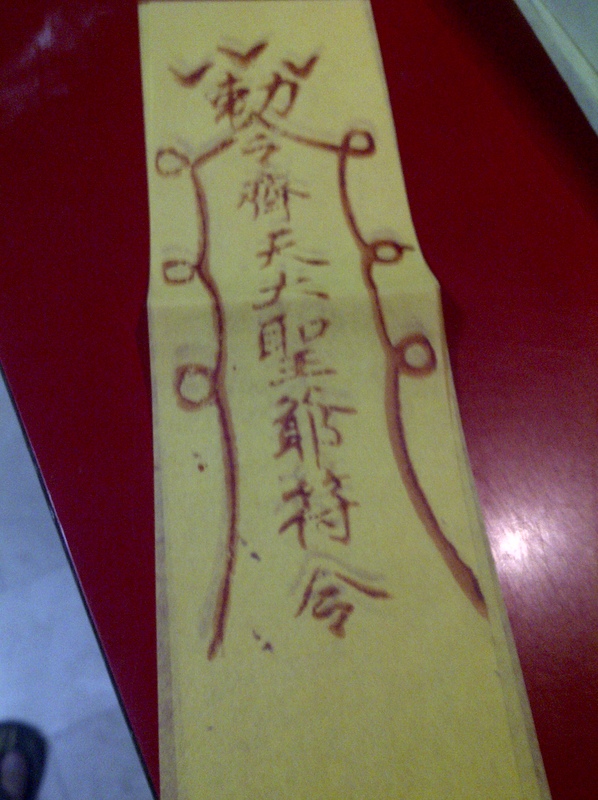 Some people also write their ancestors’ name on the lanterns. I have written extensively about the Hungry Ghost Month and the Hungry Ghost Festival. If you are not yet familiar with them, I suggest that you check on the link below and read them to know how you can stay safe. But at this point, allow me to share with you that for this year’s ghost month, while there is nothing extra significant other than what has been mentioned already, people born in the years of the Snake, Horse, and Sheep should take extra precaution because these three signs are already afflicted or side afflicted by the stronger than usual Five Yellow Star or Wu Wang (#5 Flying Star). As a result, they have to be extra careful with their business or financial dealings because money loss is definitely a serious threat during the hungry ghost month. Furthermore, people born under the sign of the Horse and Sheep ( who is also directly affected by the #7 Star of Violence) should take extra care about their safety. Accidents or crime may happen. It is very important the Horse, Sheep, or Snake should have the Vajrapani Ruel and the Ullambana Amulet, which will be sent to me by my Guru Lama in the next few days. Before I share with you all the other posts that I’ve written about the Hungry Ghost Month, I just would like to remind everybody that it is very important that you should all make sure, whether you are born under the sign of the Sheep, Horse, or Snake, to protect yourself. There is no such thing as over protection. Several posts ago entitled – AURALITE: A GIFT OF LIGHT FROM A READER – I talked about how one reader, Atty. 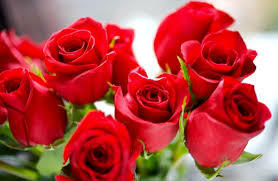 B, gave me a wonderful that I also need at that the time the gift was given to me. In that particular post, I mentioned that another reader has given me a very wonderful gift. 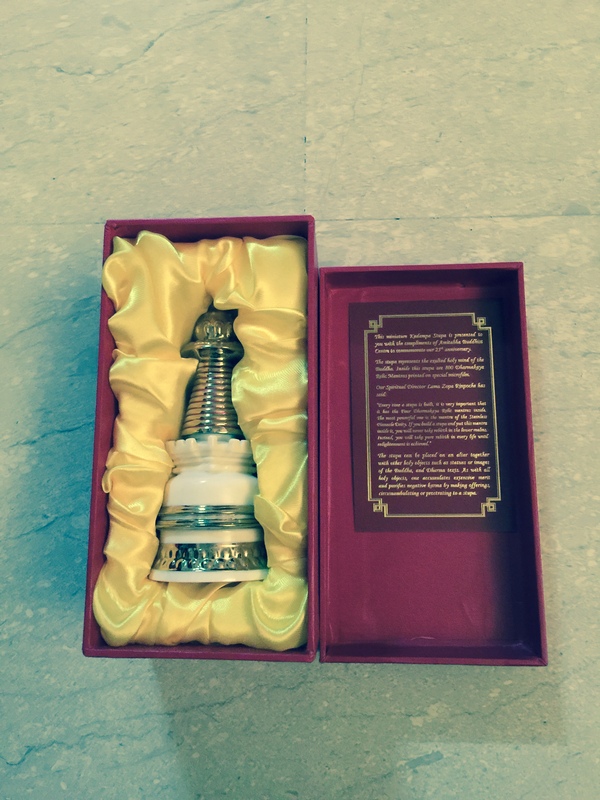 The gift that was given to me is a Stupa! AC contacted me because she wanted to get the WISH FULFILLING AND BUDDHA’S BLESSING MANTRA PENDANT, this led to a series of email conversations and she really did give me an impression of being a very kind person. In one of her emails she inquired about getting a Stupa as somebody in the temple that she attends to offered this to her. I told her owning a stupa is such a wonderful blessing, especially if this was blessed by a high-ranking lama like Lama Zopa Rinpoche. She ended up acquiring the Stupa and what’s more her very kind heart and generosity prompted her to get one more for me to be given as a gift!!!!! As mentioned before, receiving amulets or holy objects as a gift does not make it holier or more powerful, but the act of receiving a gift makes the object comes with an auspicious chi brought about by the giver’s generosity. Even if I put her generosity aside simply having a Stupa is such a wonderful blessing, and words won’t be able to convey how happy and blessed I feel to have receive that gift from AC. I can’t imagine how much blessings I’ll receive because of the Stupa. In fact, I’m sure even my friend and reader, DU, who was the middle person to get the Stupa from AC and to give it to me will definitely have received some blessing simply because she held it and having it in her possession. This is the stupa that AC gave me. 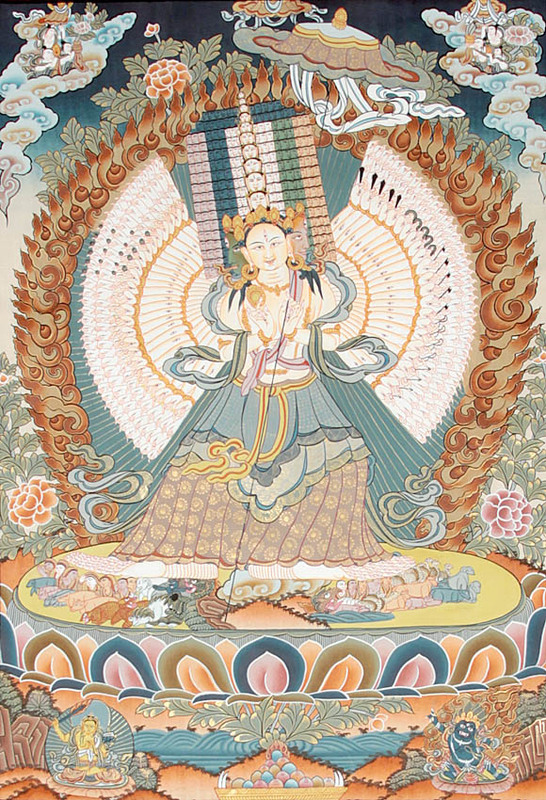 I thought I’d show my gratitude to AC by asking my Guru Lama whether I can invite a Vajrapani Ruel(1), which is considered as one of the most powerful if not the most powerful amulet in Buddhism, in behalf of AC and I’m really happy that my Guru Lama agreed and told me to go ahead with it. AC herself has expressed gratitude in advance for the Vajrapani Ruel(2), which has had enjoyed some personal testimonies already. But why am I so excited about the Stupa? Not only because it was a gift from a reader but also because it is a Stupa!!! I think I should make myself clearer. Allow me to tell you first what is a Stupa and what are the blessings that it can bestow. A stupa, which is pronounced with long U sound, is almost similar to a pagoda but is more mound – like and/or hemispheric structure that contains one or more Buddhist relics. A big stupa will usually contain a relic from a high-ranking Buddhist monk, usually a green, or red, or white, or yellow pearl – like object produced by high-ranking lamas when they are cremated. Surprisingly, people who are holy only produce these pearl – like objects. A layperson may produce this also and becomes an indication of the goodness of the person’s heart. It is believed that Shakyamuni or the Historical Buddha’s body was cremated and the ashes were divided into equal parts and which was put inside 8 different stupas. Two additional stupas were further made for the temporary casket that was made for the Buddha and for the left over embers. However, these stupas were not identified. All stupas represent the Buddha with his crown of enlightenment and in meditative lotus seat position. The ubiquitous Five Element Pagoda, which is a very famous and effective cure for the Five Yellow Killing Star or the #5 Flying Star is actually patterned after a stupa and not a pagoda. Pagoda was used to make it more familiar with the majority, because a stupa is somewhat limited to Buddhists. The difference between a stupa and a pagoda is that a stupa houses relics and is considered a very holy structure. A pagoda may or may not be a religious or spiritual structure, and while it may house holy images, it doesn’t have relics. Building a stupa is not an easy matter. Obviously, in modern times you’ll need the skill of an architect and an engineer, but it is impossible to build a stupa without the leadership of a monk who is familiar with building one. There are a lot of empowerment ceremonies, Buddhist texts transmissions and ceremonies for one to build a stupa. And the most important component is the presence of a relic. In the absence of a physical relic, the Four Dharmakaya Relic Mantras, which are considered as a first class relic because it is said that it was the Buddha himself of wrote those particular mantra are put inside the stupa. 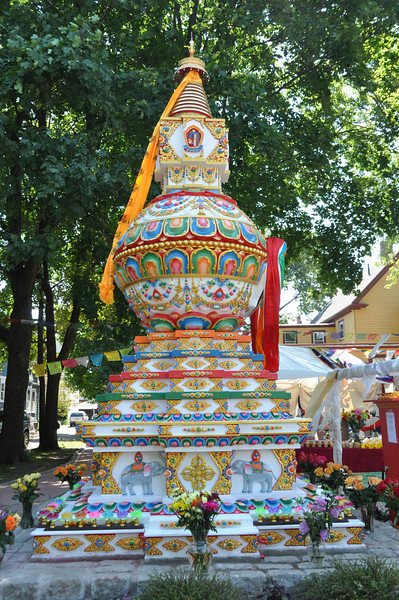 All small and multiple – produced stupas, like AC’s gift for me, will have the Four Dharmakaya Relic Mantras. It is highly considered immoral to own a physical relic for oneself. Because it should always be shared thus it is always put inside a stupa or hidden in temples. Most Buddhist temples will also have the stupa easily accessible so people can circumambulate around it, if space is of a concern, thee stupa is put on top of the structure so that everyone who passes under it will be blessed. Relic Stupa, and it is the relics of the Buddha, or human Bodhisattvas (like monks) are interred here. These relics are considered first class relics. Object Stupa, where in the relics that are interred are the things used by the Buddha or monks. 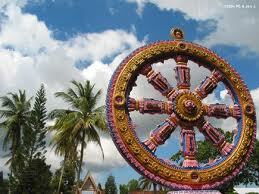 For example, their prayer wheels, mala, clothes, shoes, etc. These items are considered second-class relics. Symbolic Stupa, these kinds of stupas are built to symbolize various Buddhist aspects. For these kinds of stupas, the Four Dharmakaya Relic Mantras are interred. In Tibetan Buddhism, these different kinds of Stupas are further, sub – categorizes into the 8 different types, which is called the Eight Great Deeds Stupas, which are base on the different events in Shakyamuni Buddha’s life. LOTUS BLOSSOM STUPA, which is also known as the BIRTH STUPA, or STUPA OF HEAPED LOTUS, or BIRTH OF THE SUGATA STUPA. ENHLIGHTENMENT STUPA, which is also called as the STUPA OF THE CONQUEST OF MARA. STUPA OF DESCENT FROM TUSHITA HEAVEN, which is also called as the STUPA OF DESCENT FROM THE GOD REALM. STUPA OF GREAT MIRACLES, and is also known as the MIRACLE STUPA, or STUPA OF CONQUEST OF THE TIRTHIKAS. STUPA OF RECONCILIATION OF THE SANGHA, which is also known as the STUPA OF RECONCILIATION. STUPA OF COMPLETE VICTORY, which is also VICTORY STUPA. STUPA OF MANY DOORS, which is also called as the STUPA OF MANY GATES or STUPA OF TURNING OF WHEEL. STUPA OF NIRVANA, which is also called as the STUPA OF PARINIRVANA. Much later, another kind of Stupa came out of Tibetan Buddhism, which is the Kalachakra Stupa. 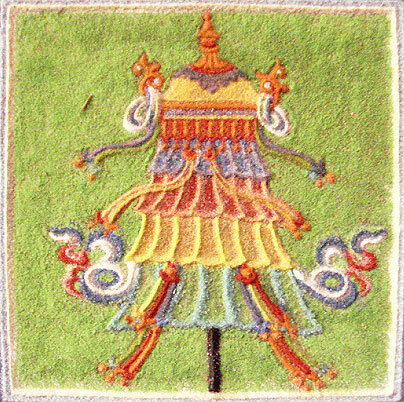 It has nothing to do with the Buddha’s life as represented by the other Stupas, but rather it is a symbolism of the tantric practice of Kalachakra. This particular stupa is said to be able to double the protective energies of the other Stupas as enhanced by a Kalachakra symbol. The image below will show the images of the different Stupas, but it has to be noted that these are just the basic image, for example as Lotus Blossom Stupa may look a little different from one another. The stupa that AC gave me is a Stupa of Nirvana. 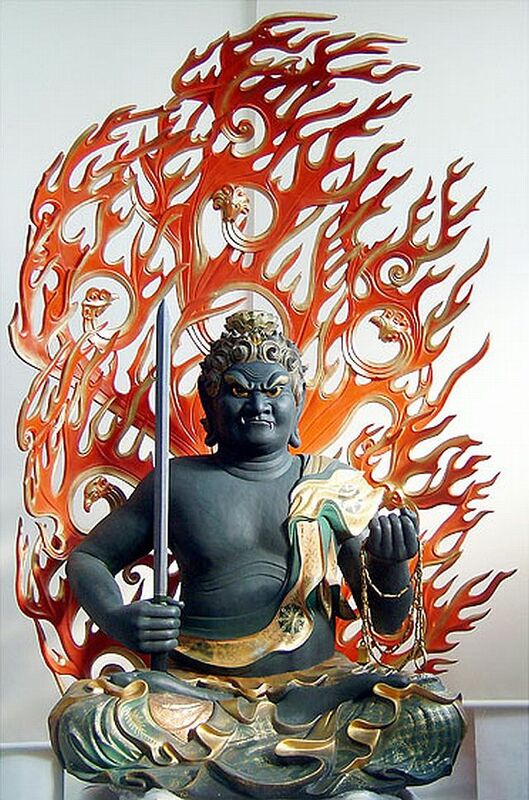 Karma Cleansing or Purification of Defilements. Gift of a Better Next Life. More than the above mentioned benefits it also helps establish peace and harmony. It is said that when a wind touches or passes through a stupa it temporarily becomes a holy wind, and has the ability to give blessing those who are ‘touched’ by the wind, even if they don’t believe in Buddhism. Simply receiving a stupa as gift brings you numerous wonderful blessings, and giving it as a gift earns you not just numerous wonderful blessings but also a lot of good karma merits! I took the liberty of copy – pasting below the text from a talk given by Lama Zopa Rinpoche about the stupa. But before that I again would like to thank AC for the wonderful gift and for the wonderful blessings that comes with it! It’s more than just a Buddhist gift; it’s a gift of good life!!!! 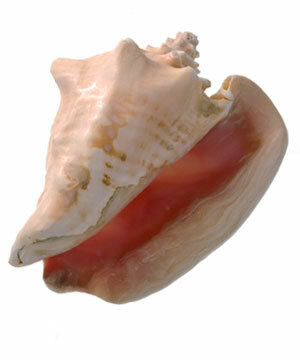 In ancient times the Conch Shell is used as a trumpet horn, and was considered as a symbol of strength and sovereignty. It is also said that ‘heroic figures’ are also given the conch shell as a symbol of gratitude from the ruler. Religiously, specially in Tibetan Buddhism, the conch shell is a ‘vessel’ for holy water and holy oil, and is also used as a trumpet to signify the start of an important religious event. 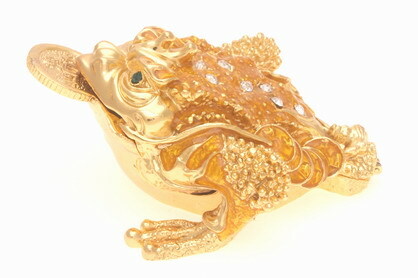 In Feng Shui, the conch shell is a powerful tool for those who wants to be able to prosper in their business ventures. It is also extremely beneficial for politicians to carry a conch shell because it will help them be stable in their position. Carrying a conch shell is also a powerful tool to help a person attain a higher level of meditation. 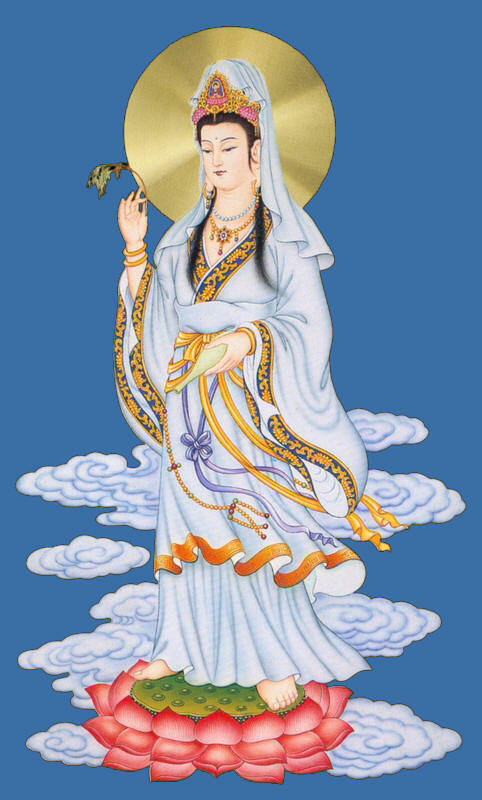 There are a lot of Buddhist and Taoist icons that are depicted either sitting on a lotus or are holding a lotus. This is because the growth pattern of a lotus represents the development that a being can make. 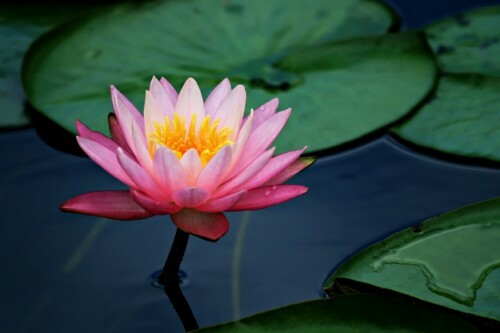 The lotus has the ability to blossom out of dirty or muddy water – which represents materialism, the it grows past the water – which indicates experience, and make its way towards the sun – which represents enlightenment. It is a symbol of both mental and spiritual purity. The lotus which is a water flower is a symbol of blossoming decent deeds, that results in purification of the both mind and body. In Feng Shui, the lotus also has the power to transform bad luck into good luck, and it is also said that the lotus has the power to drive out negative energies. 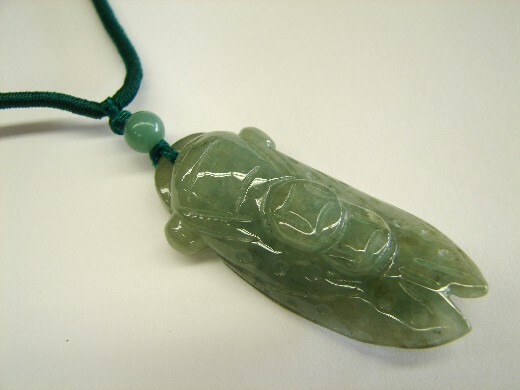 Wearing an image of the lotus made of a white stone or jade will help bring lots of blessings. It will also help in the attainment of the enlightenment.